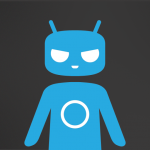 Today I’ve created GitHub repository intended for developement of CyanogenMod for Alwinner A23 devices – q8h, gt90h etc. Right now, I’m not expirienced android developer. Any support will be great. Please monitor this repository / post since I’m going to put all new information here. Wpis opublikowany w Q8H Aliexpress Tablet i otagowany allwinner a23, android paritions, cm, cyanogenmod, q8h, rom 13 stycznia 2015 przez peku33. After few hours of working I managed to mount most of Allwinner A23 paritions. This is standard boot.img Android image. It contains kernel image and ramdisk. To have it extracted I used http://forum.xda-developers.com/showthread.php?t=2319018 tools wrapped into my scripts. This is /system/ image in SIMG format. To unpack it use simg2img tool from android extras repository. Then mount output file as standard ext4 partition. In system.fex you can find everything from system partition. Wpis opublikowany w Q8H Aliexpress Tablet i otagowany allwinner a23, android paritions, q8h, rom 9 listopada 2014 przez peku33.